That’s how we like our diagrams. The idea is to take all that complex data and lay it out in a way that not only makes sense, but is also pleasing to the eye. Unfortunately, that’s not always easy: all too often we find ourselves looking at ugly, haphazardly designed diagrams that took far too long to put together. 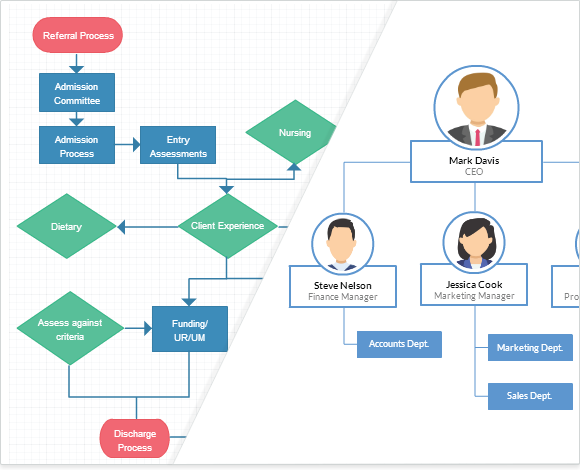 Our mission is simple: to make sure that you get the best diagramming experience possible. To allow you to effortlessly draw and layout your data and diagrams. And to that end, we’ve been working on improving what we already have: we’ve come up with a new version of Creately, bringing with it some radical improvements over the previous. 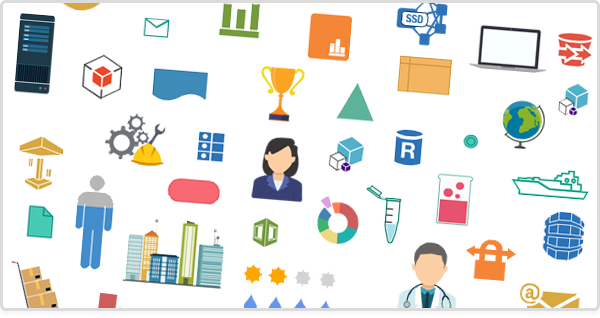 Over 1000 meticulously crafted shapes, ready for you to choose from and combine into any type of diagram you have in mind. New shape libraries. Powerful overhauls to existing libraries to give you a whole new level of flexibility. All of this set in our overhauled user interface to give you effortless drag-and-drop diagramming power. We’ve studied the science of how beautiful, meaningful diagrams work so that we can give you exactly what you need. This new update will reach everyone who uses our product and everything you use it for. We’ve upgraded how the little things work – connectors, glue points, how they link to objects, how they move around – and at each point we’ve selected colors with great care, so as to give to maximum visual coherence without creating clutter. The idea is to ensure that every diagram you make has a consistent mix of colors, so you don’t have to waste time yourself on these little details. 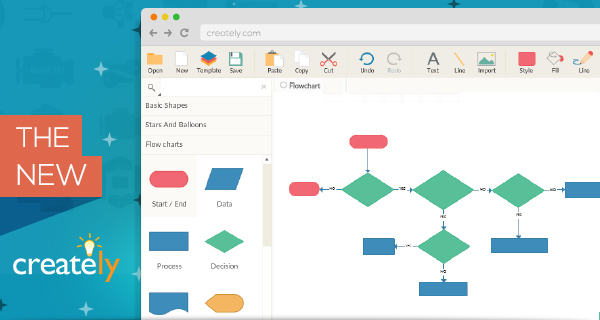 Every pixel, every connector, every shape has been drawn, redrawn and obsessed over to make Creately a whole new standard in diagram creation. Our obsession has paid off – we’ve now got the most effortless diagramming experience out there. 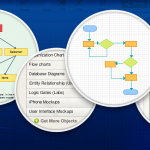 Now anyone can put together even the most complex diagrams in a fraction of the time – from Gantt charts to networks maps, from data flow diagrams to mind maps. Everything’s right at your fingertips. Stay tuned for updates; we’ll be exploring all of these changes in detail across our blog and social media so you know just how much power you now have. If you have any questions, remember: all you have to do is ask. We’re here to help. Because after all, we’re not just making software: we’re making an experience. When will you move from Flash and use HTML standards?